This is part two of the 2019 Black History Month series on two important sites- the African Burial Grounds in NYC and a tiny island called St. Helena. In this second part, I’ll discuss the burials on the island. Quick Recap: How did St. Helena Island become the final resting place for 1000s of freed slaves? In 1807 when the British slave trade was abolished, there wasn’t a neat and hard stop. In fact, when the decree was issued, there were ships in the water proceeding through the middle passage… The Royal Navy began to police the water for ships filled with enslaved people en route to the Caribbean and the Americas. Some of these ships were made to turn back, but they all didn’t go to the original port. They turned back to the closest point- St. Helena Island. “From 1840 to the late 1860s, scores of ships carrying some 27,000 slaves were captured and brought to the island. 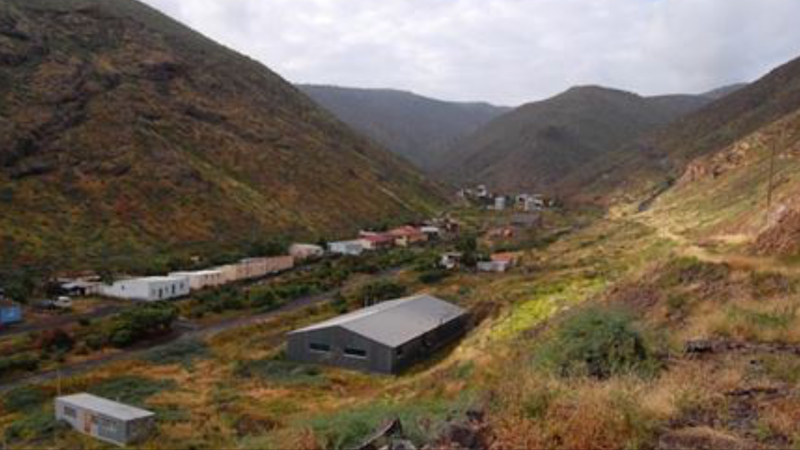 The slaves who survived were granted freedom and most were eventually relocated, but for nearly 10,000, many of them children, a rocky valley on St Helena became their final resting place” (Nature). Most of the remains were in unmarked graves and there was evidence that five were in coffins. Many of the graves contained more than one person, and it is estimated that thousands more remain in the St. Helena earth. When the liberated Africans arrived at St. Helena, depots were set up in several parts of the island to process the individuals. The depots were acted as hospitals, care and quarantine areas for Africans and sailors who had transmittable diseases. About 1/3 of the liberated Africans didn’t survive and were buried in large graveyards. One such graveyard, Rupert Valley, is where St. Helena would later try to build an airport and reveal the graveyard and its inhabitants. “Osteological analysis shows that 83% of the bodies were those of children, teenagers or young adults” (University of Bristol). Slave traders often targeted children and youth in hopes that, should they survive the journey, they would last longer in slavery. The average age represented in the group was 12 years. Before I write more about the bones, I think it’s important to highlight what the bones can’t or aren’t able to tell us. Considering the conditions in which humans that were transported were subjected to, it’s likely that the majority of them died of issues like dysentery, extremely contagious diseases like smallpox, and dehydration. Deaths caused by these types of issues aren’t able to be seen in the bones. However, we have enough documentation to support the high likelihood that many of the liberated slaves died because of one or several of these issues. In the pathology and trauma sections of the osteological analysis of the skeletal remains, researchers noted sacralization, os acromiale, fractures, amputation, scurvy, cribra orbitalia, rickets, osteoarthritis, Schmorl’s nodes, osteomas, cysts, and more. Two individuals showed evidence of having been shot. Let’s talk about a couple of these findings so that you can better understand what they help to reveal about the people. I won’t go through each one and I’ll add links to some that I may have discussed previously on the blog. Cribra Orbitalia is a type of skeletal lesion observed on the skull and is associated with anemia. It’s typically “caused by the body’s attempt to produce more red blood cells in the marrow to compensate for lack of iron. The longer this iron deficiency continues, the more apparent these lesions become” (Roberts, 1997). Cribra orbitalia has been studied as a potential indicator of childhood stressed caused by bad or incomplete nutrition. Keep that in mind when considering the average age of the people analyzed at this site. Os acromiale is when one of the growth plates on the acromion fails to fuse. The acromion is the high bony section on the shoulder blade (scapula). As we grow, it fuses and hardens in four different sections. If one section doesn’t fuse to the scapula, it’s called os acromiale. It is considered a variation, not a pathology. For some people who have this, it causes no issues in their lives and performing daily tasks. Others may experience pain and require medical intervention. While the remains were well- preserved, the lives that were written on those bones seemed to tell of hardship, neglect, and trial. These were bodies that were fractured, battered, and pained. The graves also revealed cultural and ethnic identities. In Pearson’s notes, he recorded evidence of intentional dental modification. Also referred to as dental art, this has been a form of body modification that has occurred throughout human history around the world and continues today. Within this group of people, the modifications can also be studied as a type of tribal or ethnic affiliation. These types of identifications are incredibly important in this case. When Africans were led to the ships, the traffickers didn’t care for any specific identities that would’ve been important and culturally valuable. They were stripped of their clothes and vestments, their languages silenced, names erased- ushered together, and given one general identity- slave. A few managed to hold on to tiny trinkets of a life they would never know again. Recovered from the graves were beads, cowry shells, iron hoops, braided hair, pieces of cloth, clay pipes, and other small tokens that provided the tiniest glimpse into human lives brutally interrupted. Below is an x-ray of some of the corroded and broken tags found at the site, simply labeled, “slave tags”. As I read through Andrew Pearson’s excavation notes and the archives of the research, I was struck by how similar the burials were to another important site in African diaspora history- the NY African Burial Grounds. Join me next week for part three of the series when I highlight some of the similarities between these two sites! A data paper about this archive is available at: Pearson, A.F. 2012. A dataset to accompany the excavation report for a ‘liberated African’ graveyard in Rupert’s Valley, St Helena, South Atlantic. Journal of Open Archaeology Data 1(1), DOI: http://dx.doi.org/10.5334/4f7b093ed0a77.